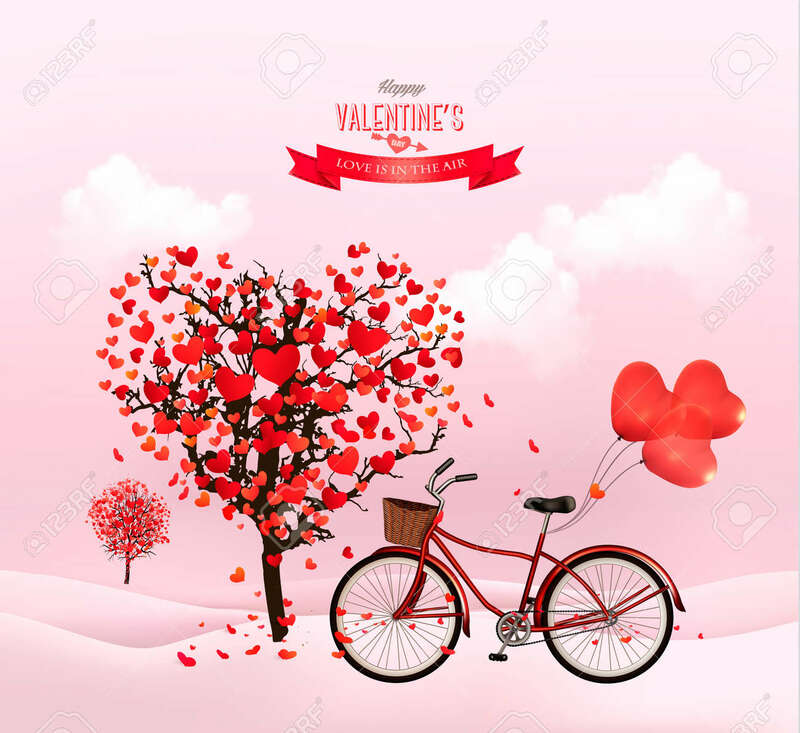 Valentine's Day Background With A Heart Shaped Tree And A Bicycle... Royalty Free Cliparts, Vectors, And Stock Illustration. Image 50563467. Vector - Valentine's Day background with a heart shaped tree and a bicycle. Vector. Valentine's Day background with a heart shaped tree and a bicycle. Vector.